Let’s meet at the Saturday field (17th and Constitution). Let’s get there on time, if not early, so we can secure a spot to play, particularly those with the cones who can set up the field. The softballers are out in full force so spacing is less generous. 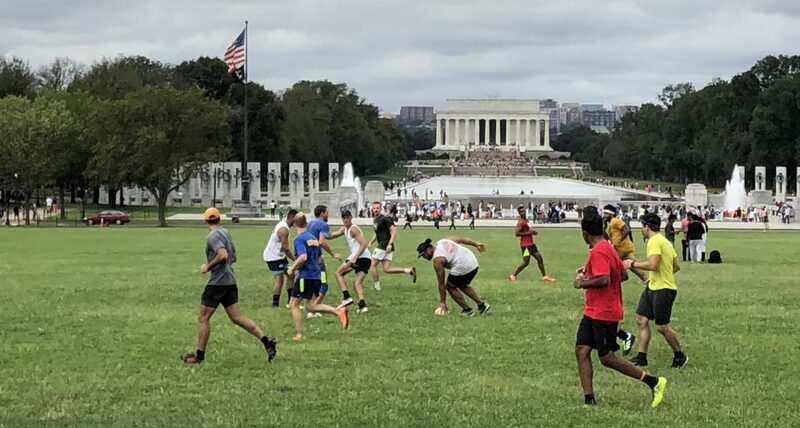 Apparently last week we shared our field with a softball squad–they played more west, by 17th street, while we played more east, closer to the monument. I don’t see why we can’t replicate that configuration. As far as I can tell, no one has a permit to reserve the part of the Mall where we play. I’ll see you guys at 6:00, or at 5:45… Bring a ball. Bring cones.